A cracking read, definitely the best Freddy yet. 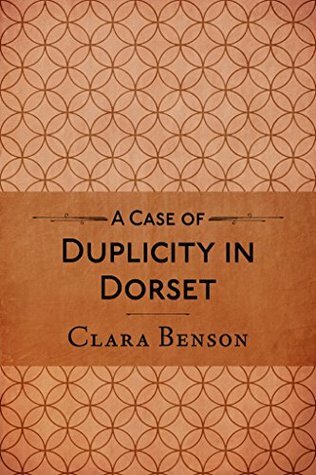 In this, the fourth book of the series, he finally leaves London behind and sets off for a pleasant country house party with various members of his family (headed by the Duke and Duchess of Purbeck) and an array of other eccentric characters. What with a body in the library, a stolen necklace, secret passages and lots of guests creeping about in the middle of the night, this is perfect murder mystery escapism. Here’s the plot: the Duke and Duchess of Purbeck are hosting a party to celebrate the twenty-first birthday of their daughter, Ro, at which she will wear the famous Belsingham pearl necklace. But several of the guests have pasts they wish to conceal, which makes things awkward when the trouble-making Professor Coddingham is found murdered with the pearls in his hands. Freddy has his own difficulties with his present girlfriend and his ex, who may be engaged to someone else but still has a thing for Freddy. The humour is as delightful as always, and Freddy is his usual insouciant self, even when caught misbehaving in the linen cupboard. I loved some of the side characters – lecherous old Nugs, Kitty the charmer, and Freddy’s society gossip columnist mother, not to mention the poor beleaguered Duke and Duchess. And the situation with the two girlfriends is handled with understanding and sympathy. They only have small parts, and in a light-hearted tale like this they might have become mere comedic fodder, but they both came across as real people. A terrific read, that I inhaled almost in a single sitting. Five stars. Highly recommended.